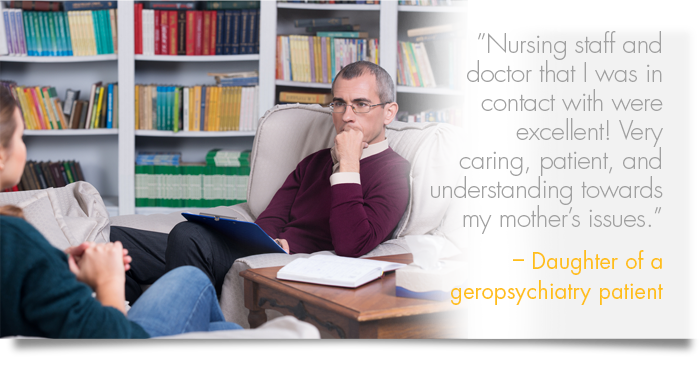 At our core we are a full-service outsourced management provider, expert in the assessment, planning, and delivery of inpatient and outpatient behavioral health services including: adult and geriatric psychiatry; child and adolescent psychiatry; chemical dependency and dual diagnosis services; emergency room psychiatric disposition management; integrated continuum design and management; tele-psychiatry strategies; productivity management; reimbursement; psychiatrist recruiting; clinical program enhancement and physician practice design. 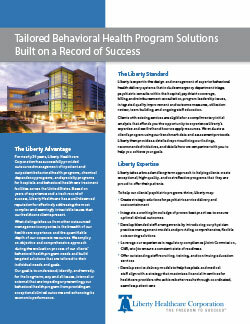 Whether you are concerned that your existing program is just not performing to your expectations or you are considering initiating a behavioral health program at your hospital, Liberty can provide solutions. 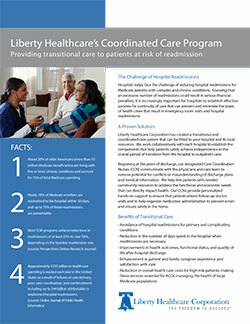 For more information about Liberty Healthcare’s hospital-based behavioral health services and solutions, visit us at lhcfreedom.com.